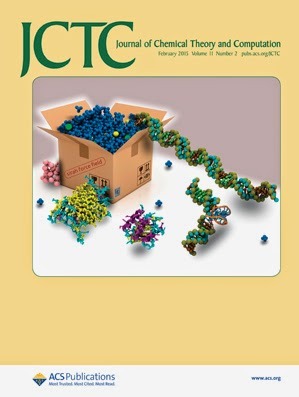 The SIRAH Force Field is the cover image of the new JCTC issue! The development of coarse-grained models that reduce the computational cost keeping the essential interactions ruling molecular systems is experiencing an enormous expansion. Facilitating the use of these models outside the small developer's community is one of the challenges in this field. We present the SIRAH force field for proteins, which completes a set of parameters for coarse-grained and multiresolution simulation of biomolecular systems using a standard MD Hamiltonian, making its use straightforward in popular simulation packages. See L. Darré, M. R. Machado, A. F. Brandner, H. C. González, S. Ferreira, and S. Pantano, pp 723–739.